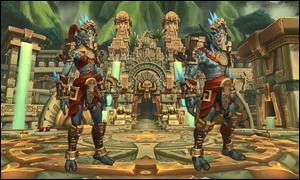 The Zandalari Trolls are the original trolls of Azeroth residing on the continent of Zandalar. They have a rich history and a proud heritage. 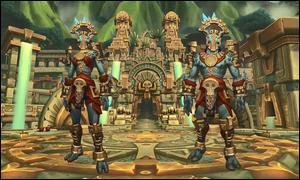 Zandalari society worships Loa, animal gods and protectors. They also have a bond with the many dinosaur species found on the planet. The Horde are seeking to gain the trust of this tall-standing race to counter Alliance aggression. The achievements required to unlock the ability to make a Zandalari Troll are not yet known. 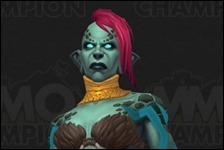 It is likely to involve new Battle for Azeroth content. Step 01: Under Siege (New) - Find Saurfang. Step 02: Spies in Our Midst (New) - Secure the Mage District. Step 05: To Battle! (New) - Use the Portal to meet with Sylvanas Windrunner. Step 08: Our Secret Weapon (New) - Use blight on Alliance forces to drive them away. Step 09: Like Wildfire (New) - The Alliance have breached the wall. Meet with Nathanos Blightcaller to intercept them at a crucial chokepoint. Step 10: Holding Them Back (New) - Intercept the Alliance with Nathanos Blightcaller. Step 11: The King Piece (New) - Defeat King Anduin Wrynn and his Allies. Step 12: Cry Havoc (New) - Sylvanas has called for the retreat. Step 13: The Dark Lady (New) - Rendezvous with Sylvanas in the keep. Step 01: The Third Fleet (New) - Meet with Genn Greymane inside Brill. Step 04: Breach the Wall (New) - Keep Undercity's forces at bay with King Anduin until the trebuchets breach the wall. Step 05: Blighted Grounds (New) - Evacuate wounded soldiers before they are infected by plague gas. Step 06: The Light is Fading (New) - Fall back with King Anduin Wrynn. Step 07: The Winds of Change (New) - Find Jaina at the walls of Lordaeron. Step 13: She's Getting Away! (New) - Pursue Sylvanas in the Gyrocopter. Step 14: The High Overlord. (New) - Defeat High Overlord Saurfang. Step 15: The Dark Lady (New) - Pursue Sylvanas. Step 01: In the Dead of Night (New) - Infiltrate Stormwind City. Step 02: Down the Drain (New) - Open the sewer access gate. Step 03: The Stockades (New) - Infiltrate the Stockades. Step 04: Honor and Loyalty (New) - Release High Overlord Saurfang. Step 05: The Primary Objective (New) - Release the prisoners and escape the Stockades. Step 06: The Stormwind City Shuffle (New) - Escape Stormwind City undetected. Step 07: WAY Behind Enemy Lines (New) - Escape the Cathedral district. Step 08: The Harbor Run (New) - Reach Talanji's ship in Stormwind Harbor. Step 09: Well, Ship (New) - Slay Admiral Lockheart. Other options are unknown at this time. 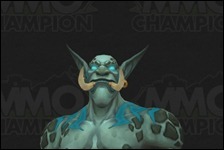 The Zandalari Troll racial abilities only have names and icons as of now. 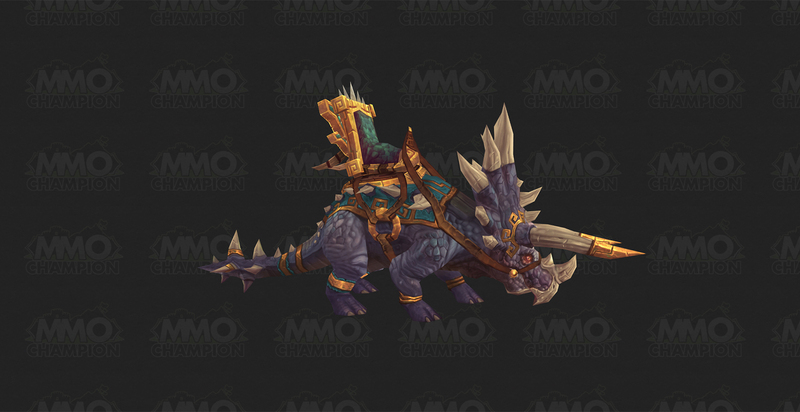 The Zandalari Troll racial mount is the Zandalari Direhorn. 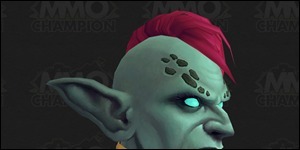 It is usable by all Horde races upon unlocking the Zandalari Troll Allied Race. Currently we only know what the heritage armor for Zandalari Trolls looks like. The Zandalari Trolls offer a variety of faces, hairstyles, hair colors, skin colors, earings, tusks and tattoo options. You can view them all in the screenshots and modelviewer below. 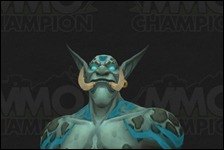 As of now only the flight form and travel form of the Zandalari Trolls are known. Last edited by chaud; 2018-02-04 at 10:29 PM. That is a pretty badass flight form. Yeah... pretty cool reskin of trolls, and that flight form.. can’t wait to see the racial s.
Time to get those eyes checked. 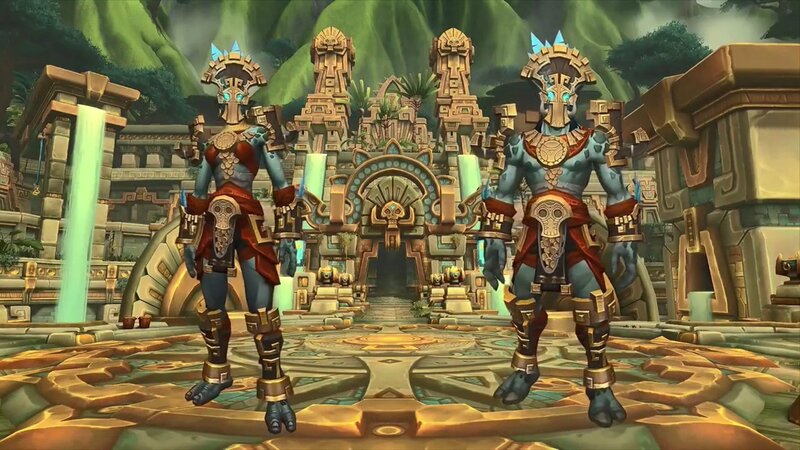 If I decide to actually come back for BFA, I legitimately will play only 1 character as much as I need to unlock the Zandalari, then Reroll to Zandalari and never touch another Race again. I'm now more confident that Alpha might be tomorrow. It kind of bums me out that that badass raptor skin is only for land travel form (which means probably not all that much use...) and for combat they're just gonna turn into cats and bears like everyone else. This race will be the final hit to the Alliance. Everyone will move to Horde. I mean I've been playing Alliance since 2007 but this is way too cool. 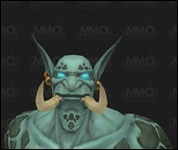 Guess they're up to some pretty bad voodoo or maybe that was considered the fan favorite troll look with them zombie eyes Weirds me out that they look like something that could be part of the forsaken. 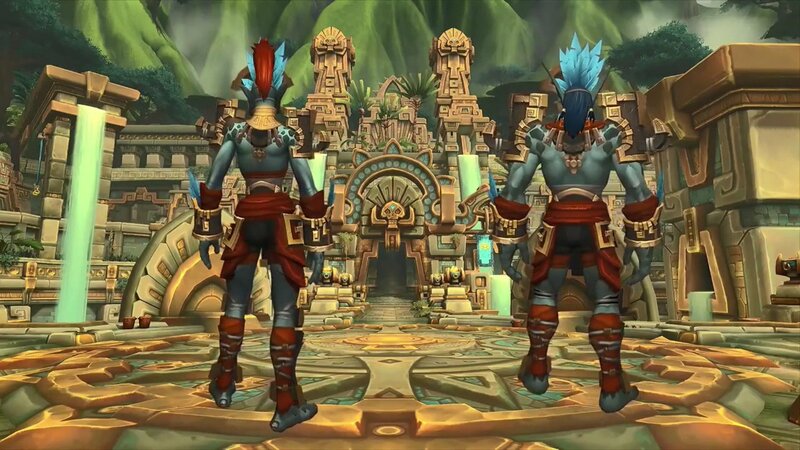 Some of the Zandalari in MoP didn't have those weird rock/scale formations on their skin, I hope they add that as an option. I also hope for black hair. A new race is the cheapest "content". 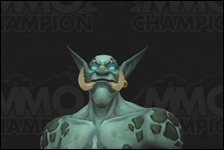 Will people level (grind) from 20 to 110, because of new races? I have all 12 classes (some are from the "free" instant level 80/90/100/110). The best race is human, because of the 10% rep. Saving the best 2 for last? Really hope the dark dwarves are more impressive than just a recolor else horde totally wins this round. City of Gold --- 1% Extra gold? Embrace of the Loa --- 1% Increased Nature Damage ? Pterrordax Swoop --- Banish type CC ? Regeneratin --- HoT Heal ability ? Ward of the Loa --- 1% Nature damage resistance ? Pft, a racial that's useless once exalted is hardly "best". 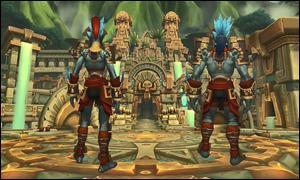 I hope they can be Shamans, Enh Hidden Artifact appearance is made for them. Or Katie 'Hatie' Hopkins. (Count yourself lucky if you don't know who that is).